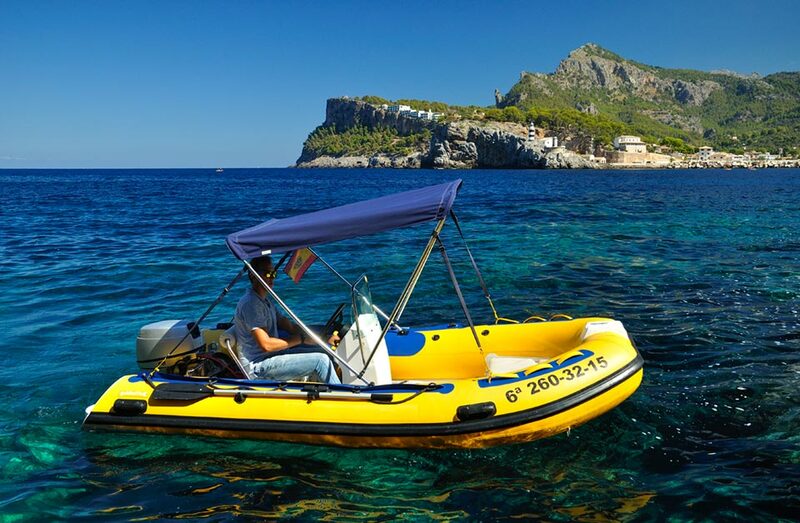 Rent a motor boat without license is the best way to enjoy the unknown Mallorca. 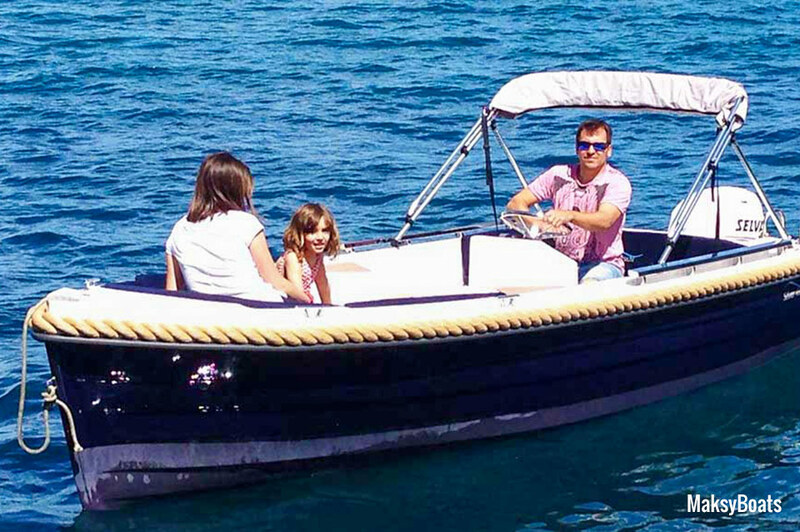 Rent a boat with insurance and everything you may need. Just relax and enjoy..
We are not a virtual agency. 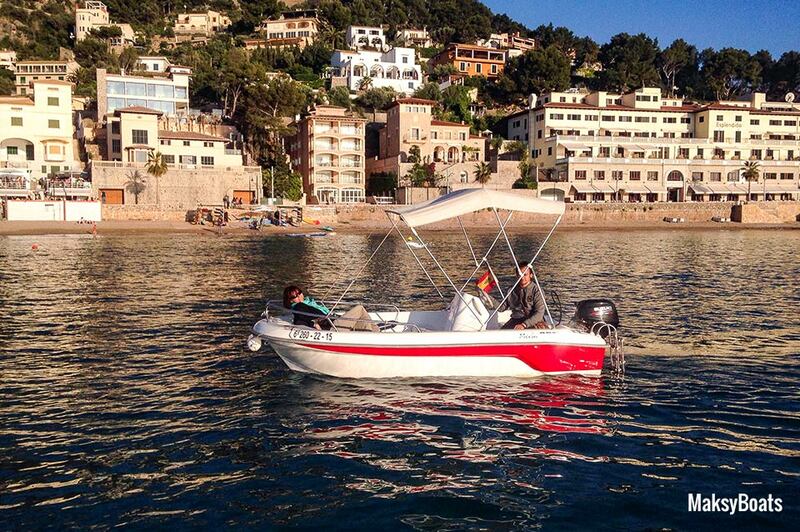 We live in Palma de Mallorca and work every day in Port de Sóller. 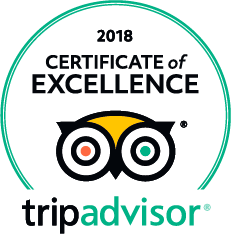 If you have any problems (which we hope will not happen) we will be there to help you. We have more than 15 years experience in the nautical sector. 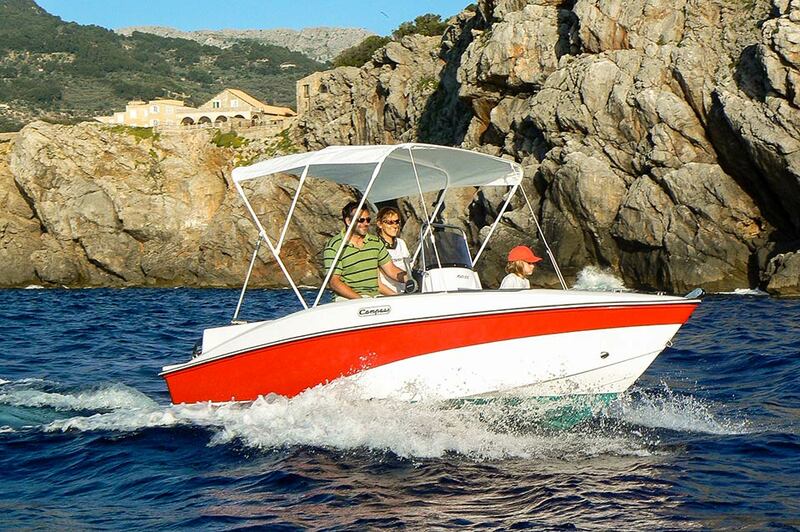 All our boats have the security measures established by law and full insurance. 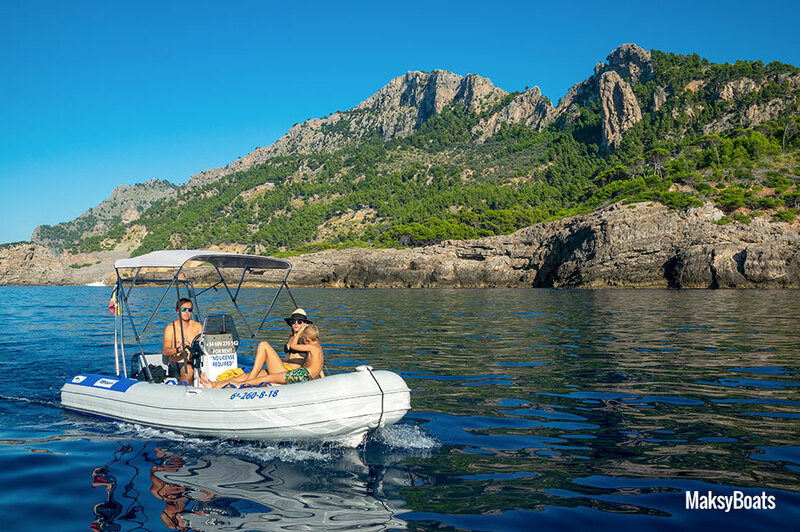 Aboard your rental boat you will get to places that are only accessible by sea: caves, cliffs, beaches, canyons ... By the way, enjoy swimming in crystal clear waters, diving and observing the rich marine life... Everything in the easiest way, no worries! Rent now your boat without license and get ready to enjoy!